Get ready to become my best friend for life because I'm about to share something amazing and it involves free cake for each and every one of you. 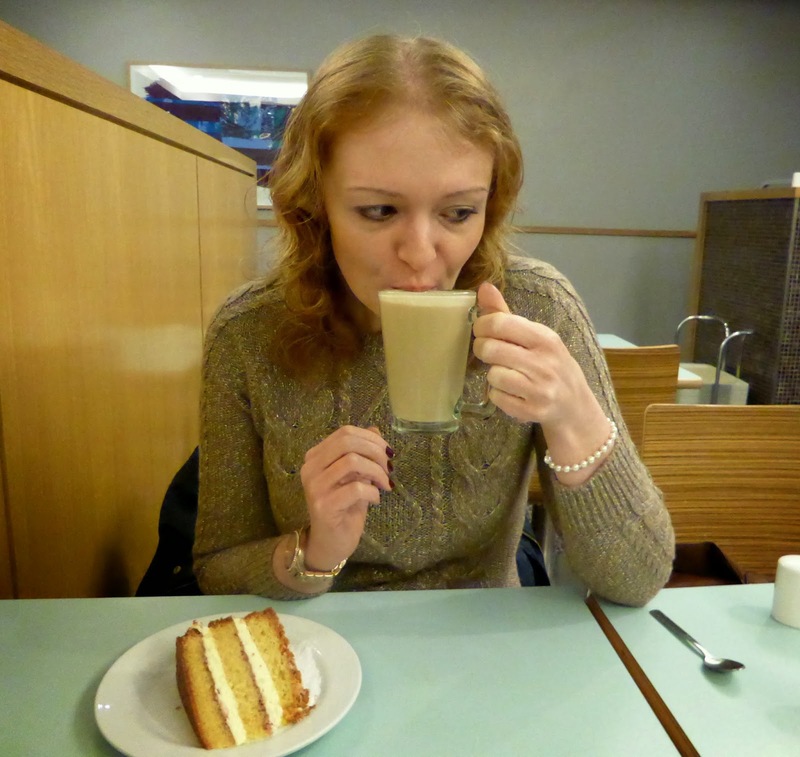 Recently my friend Cat let me into a little secret, she's been enjoying free tea and cake every month at John Lewis. 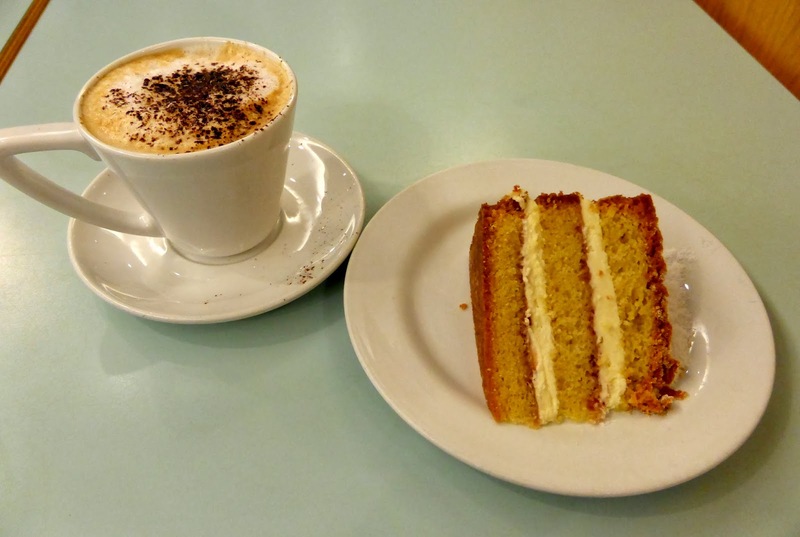 Being a huge lover of cake and saving money I was so happy to discover this little secret and as I know you all love cake too I had to share this find on my blog. All you need to do to enjoy a sweet treat every month is head over to the John Lewis website and sign yourself up for a free "My John Lewis" card. 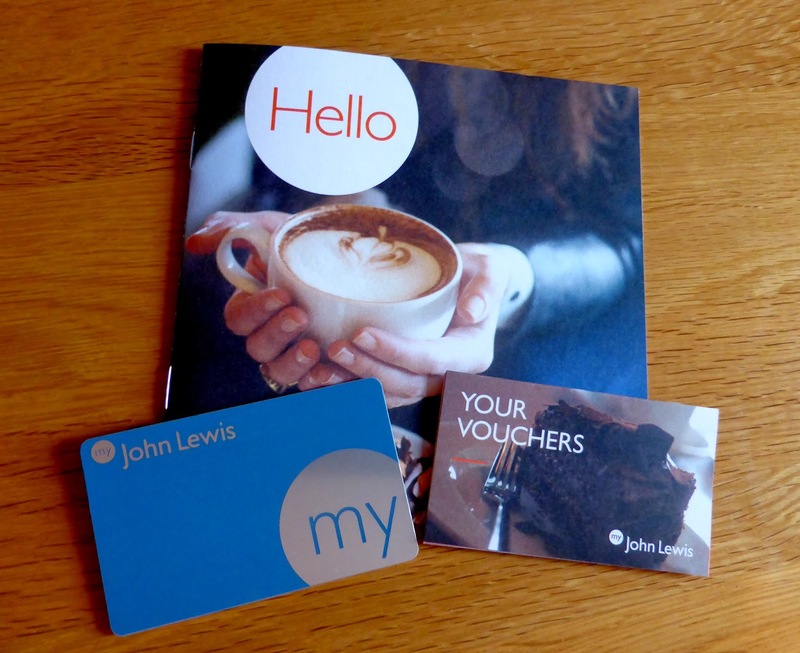 Not only does the card offer you the chance to collect reward points on all of your purchases online and in store, enter you into free prize draws and invite you to exclusive events at your local store it also gives you a little booklet of vouchers inviting you for a free slice of cake and hot drink every month (no other purchases required). You get six months worth of vouchers, each one labelled with the month they are valid. I had a couple of weeks wait for my card to arrive and was so excited about trying it out that the day it arrived in my mailbox I decided we had to have a trip to John Lewis in Newcastle's Eldon Square to claim our goodies. The vouchers are valid in a few of the different eateries in store so we had the choice between the Espresso Bar and a Place to Eat. After having a little look at both we decided on a Place to Eat as there was more room and a better selection of cake. 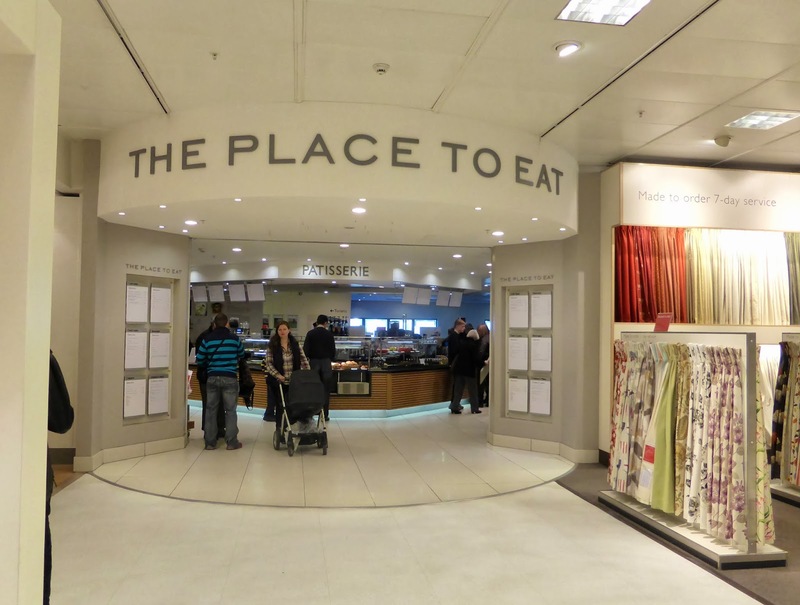 I'd never been to John Lewis for coffee before so wasn't sure what to expect. It's certainly very popular and I think they must have a fair few regular customers who know what time the cake is put out. We happened to turn up at the same time as the fresh cake arrived at the counter and there was a sudden crowd of people that appeared from nowhere. There was a nice selection of goodies and there will certainly be enough to keep us happy for the six months worth of vouchers, I'm sure I'll have no problem picking out six different cakes to try. I have my eye on the bakewell tart and muffins and they also had some rather yummy looking scones which I'm hoping fall into the category of "cake". 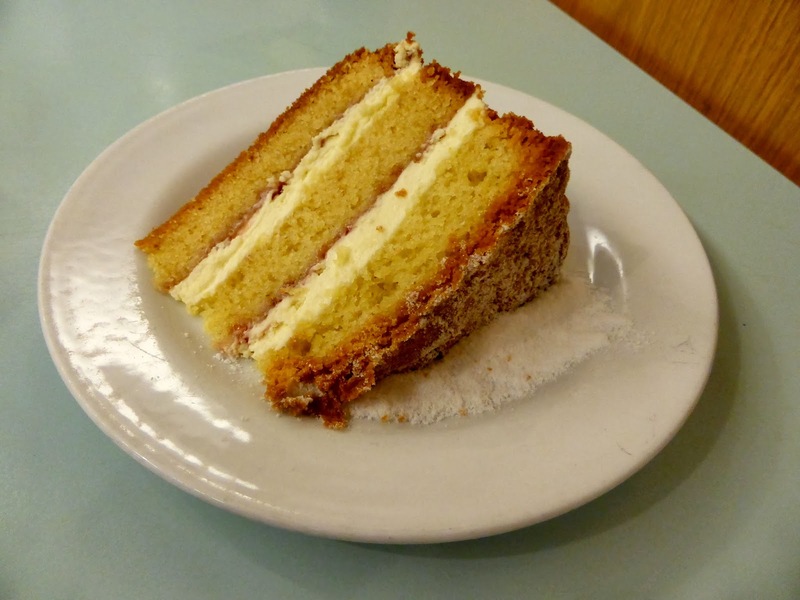 This time we decided to go for the Victoria Sponge as we were feeling rather hungry and it was a nice big slab. 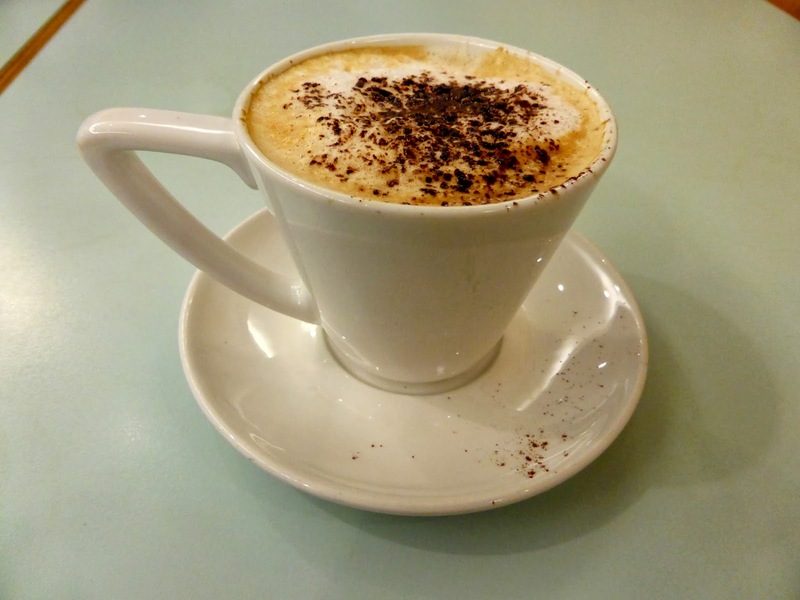 For my free coffee I had an amaretto latte and Simon had a cappuccino. The cake and coffee were both really delicious and we were so happy that we got to have such a lovely treat and save ourselves some money. Now we're just counting down the days until next month when we can have some more. Let me know if you decide to get yourself a My John Lewis card and make sure you share your favourites with me so I know which cake to go for next time. Enjoy!